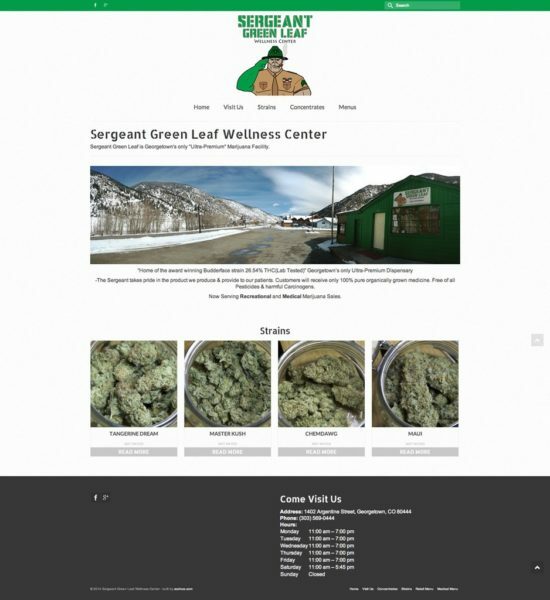 Latest build was for Sergeant Green Leaf Wellness Center, a medical and recreational marijuana center in Georgetown, CO. 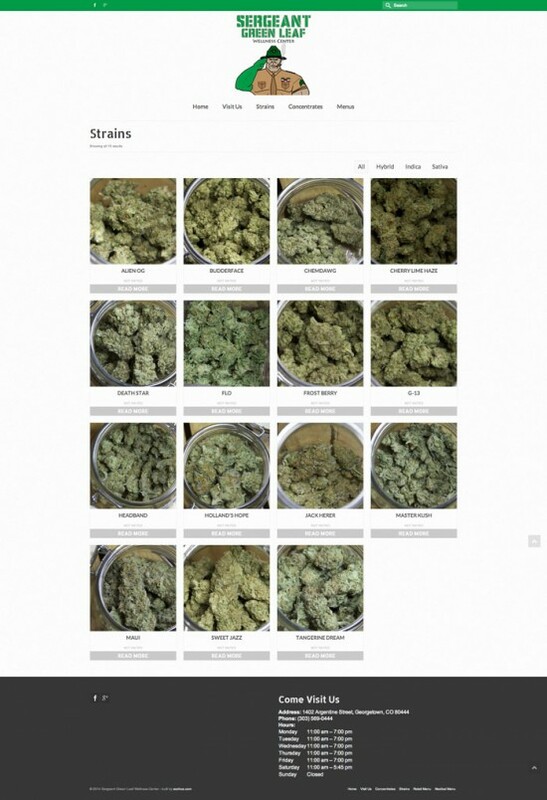 The site features a fully functioning store running on woocommerce, the store provides an excellent way to showcase the products, and with woocommerce it’s easy to turn off the shopping cart and utilize the category filters to make a clean display of products. They needed a site fast, so I set up domain/hosting and designed and built the site in two business days.